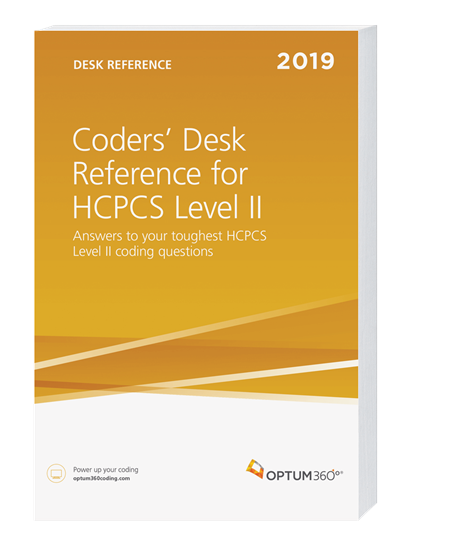 Optum360 Edge — More than 3,000 HCPCS Level II codes and 2,000 lay descriptions. Gain a clear understanding of the clinical definitions for thousands of alphanumeric codes for supplies and services to improve coding accuracy. Optum360 Edge — Modifier definitions, diagnosis code suggestions, and usage rules. Choose the appropriate modifiers and HCPCS Level II codes with a thorough list of modifiers, accompanied with narrative explanations of each. Coding and billing instructions.Reduce research time and improve coding accuracy with tips on the quickest methods to bill and code HCPCS Level II codes. Additional chapters for documentation, durable medical equipment (DME), fraud and abuse, compliance, and HIPAA. Prevent the risk of audits and fines by clearly understanding the regulatory requirements that affect HCPCS Level II coding.